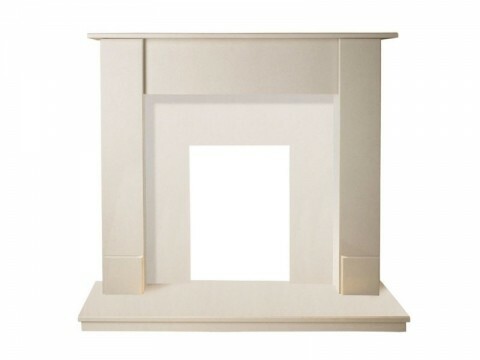 Fireplaces 4 Life Maine 48'' Beige Stone Marble Fireplace | Fireplaces & Surrounds | Online Exclusive! The Fireplaces 4 Life Maine 48'' Beige Stone Marble Fireplace features a natural beige stone marble design and a refined contemporary finish making it ideal for modern family homes. 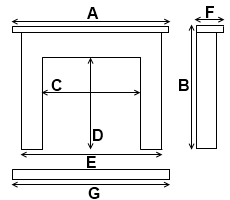 This fireplace is suitable for inset gas, electric and bio ethanol fires with an output of 4kW or less. The Fireplaces 4 Life Maine 48'' Beige Stone Marble Fireplace is a sleek and refined fireplace set, with its subtle detailing and all in one design making this a great choice for a contemporary interior. Each fireplace is made from natural beige stone marble that retains its rich colour, polished surface and distinctive veining direct from the stone itself. This all in one fireplace is designed to accommodate an inset gas, electric and bio ethanol fires with an output of 4kW or lower.